Young Sprout and I set out for a walk the other morning. Although it was cool and rainy it was good to get some fresh air, and as always in our neighborhood, no shortage of things to observe and talk about. Starting with a helicopter, one on the landing pad and another we saw in flight. 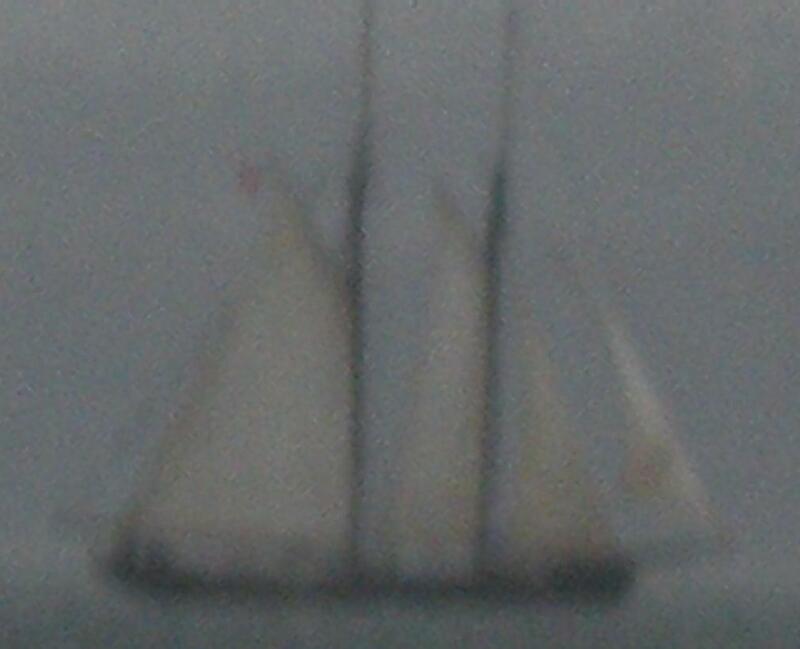 Then we saw a sailboat. Two horses were patiently waiting in a trailer to be hitched to carriages and go to work. Remember the horses, they make a reappearance later in this story!After that we watched a workman fixing tires and putting them onto a tour bus – no photos because he was well aware we were observing him, so it would have been awkward. which has been custom built to allow for the bole of the tree. 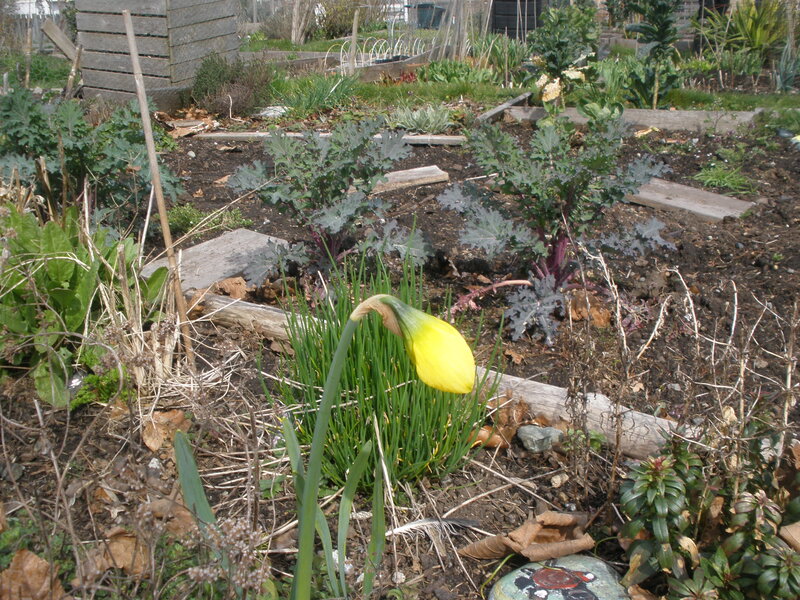 At the community garden, something exciting was actually happening! 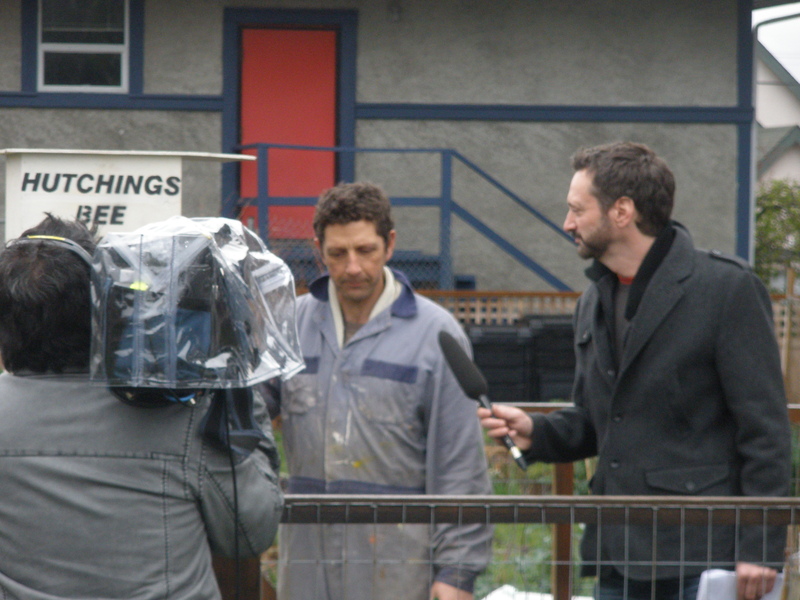 One of the gardeners was having a beehive installed on her plot AND the local TV station sent a two-man crew to interview the beekeeper, Mr. Hutchings. Since it was getting cold (plus I had a quilt show to attend in the afternoon!) we set off home. As we crossed the road we noticed one of the horses had done its business. 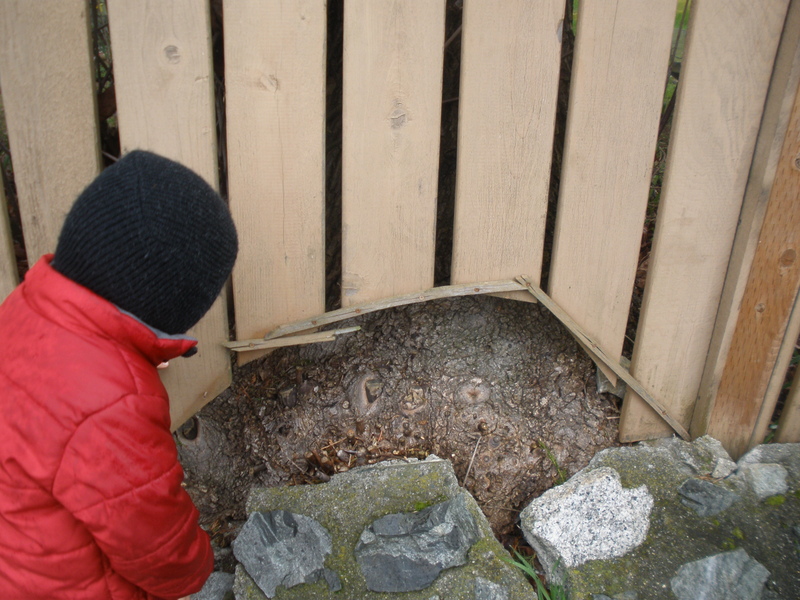 We said hi to the chickens that live on the corner and came home.